Heilung is amplified history, sounds from the european iron age and viking period. While producing the second album, we are also working on a very special first edition of our debut album. It will be published at Arun Verlag, Germany as a Book in EP size, containing the CD and in addition to the lyrics a lot of background information to the Galdrs and songs. 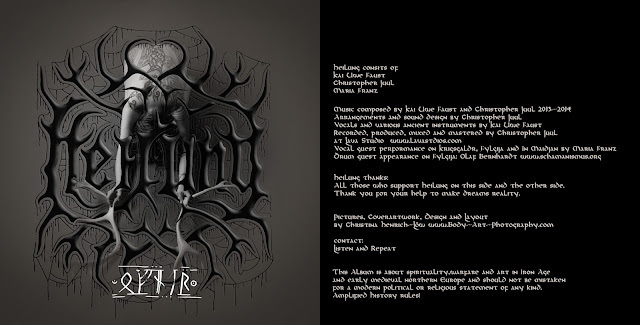 All cover artwork done by Christina, wich really puts some effort in the visual appearance of Heilung and is really a treasure to have. Above a draft of the cover, wich will not be part of it, but it is way too beautiful to hide it.